I’m always happy to discover something new, and walking around Lanciano yesterday I stumbled upon a new gem, a find that made me very happy. It was nearing lunchtime and I spotted a new shop that sold a variety of handmade piade,(piade is the plural of piada). A piada or piadina is a thin Italian flatbread that is often filled with cheese, slices of meat and even that ubiquitous children’s favourite, Nutella. Situated at the bottom of Corso Roma, just down from the church of San Francesco that houses the Eucharist Miracle is Massi Piada a new shop that enticed us inside out of curiosity. With 56 variations to choose from on their menu we stood for more than a few minutes deciding what to have. Eventually we decided on one called Tartufata and a crescone, (stuffed piada) called a Torinese. After we’d ordered we waited as the piade were made by hand and the fillings were cooked to order. The open kitchen means you can see your food being prepared and the high standards of hygiene. There are tables in the shop if you fancy eating in but we choose to take away our hot filled piade when we were handed them presented well in a paper sleeve, meaning there’s been some thought put into the waste and the environment. The tartufata was filled with melted fontina cheese and mushrooms flavoured with truffle cream and my stuffed flatbread was filled with soft warm potato flavoured with Gorgonzola cheese and slices of pancetta. We sat on a bench near the cathedral and devoured our lunch with relish. The day had turned cold and the warm potato, cheese and bacon filled bread was welcome and warming. The menu is extensive and to help non-Italian speakers there’s a printed one to take away that is in both Italian and English. I know now with the exception of the sweet recipes I’ll not stop visiting until I’ve tried most of the remaining 50 savoury ones. The tagline on their menu reads, ‘Vieni a provare la mia piada. Semplice, buona e fatta a mano’ meaning, come and try my piada, simple, good and handmade; although it was a simple take away lunch it was flavourful and made with care. We were more than happy with with our lunch and I’d say to anyone passing through Lanciano to pop in and give your custom to Massi Piada, you won’t be disappointed. Massi Piada. 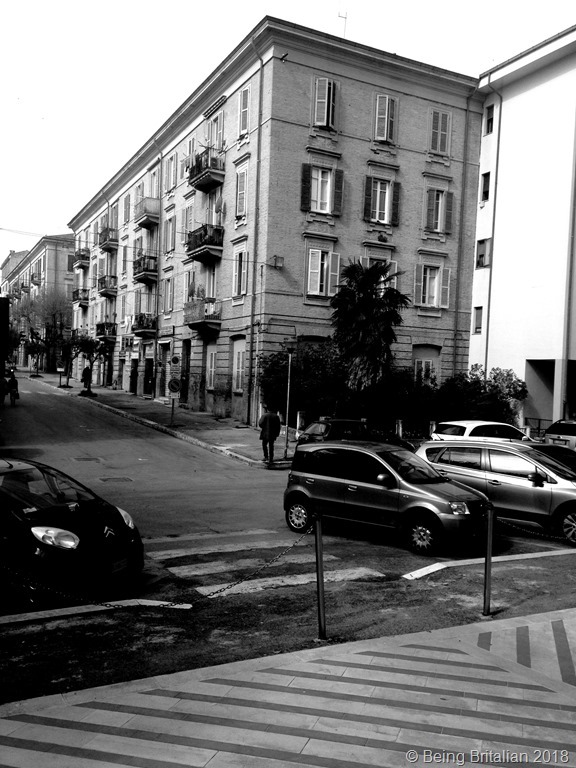 Corso Roma 10, Lanciano. While having lunch with friends this week, Steve said, one of the things he likes about Italy is that it’s socially acceptable to dip your bread into your sauce.This reminded me of an article I wrote for Italy Magazine when I wrote for them. So I’ll share it with you all, and some images of bell’abruzzo. Fare la scarpetta is a phrase in the Italian language that’s close to the heart of everyone who has enjoyed a delicious plate of pasta with sauce. Meaning “make the little shoe,” it refers to the small piece of bread used to mop up the last of the sauce on your plate. This end to a meal ritual is vastly popular all over Italy; however, where it originates is still open to debate. There’s one theory that the practice began in Venice, though bread wasn’t usually served with pasta in northern Italy, whereas it was in the south of the country, therefore it is implausible to assume it originated there. In his book about medieval eating habits, Fabrizio Vanni proposes that the act took place following the introduction of tomatoes to the Italian diet back in the late 16th century. Before this time sauces tended to be thicker and more robust; with the introduction of the tomato, sauces became lighter and therefore required mopping up. Another suggestion regarding the origin of la scarpetta is that back in a time when wasting food was frowned upon, the bread merely became a tool to be used much like cutlery. A Calabrese friend of mine who tells me the phrase has its origins in Southern dialect prefers to have a more romantic notion regarding la scarpetta. He is convinced it stems from the heart of cucina povera (poor cuisine), from a time when people were literally so hungry they’d have eaten the soles of their shoes. He says when you are unsure when you’ll eat next, it made sense to mop up every last drop of sauce. As with many Italian expressions, the reasoning behind the phrase is visual: during the practice of sweeping the bread across the plate the finger becomes the leg that pushes the bread which becomes the shoe. It’s not only an essential part of an Italian meal, but it is seen as a way to extend the pleasure of the repast. This said there is a time when making the little shoe is frowned upon and Giovanni Della Casa explained it in Il Galateo, his guide to the rules of polite behaviour and etiquette: it is acceptable to engage in the practice during an informal meal, however, in a formal setting and in public, when making the little shoe you must use a fork and not your finger to move it across the plate. Cucina povera is an Italian phrase meaning the cuisine of the poor, or peasant cooking; the literal translation is, poor kitchen. The reason I mention this is because a few nights ago I was watching TV and I heard a chef say, food is fuel. I thought this was an odd thing for a professional to say, as most chefs want us to believe they are creating gastronomic masterpieces rather than just filling us up with the culinary equivalent to diesel. 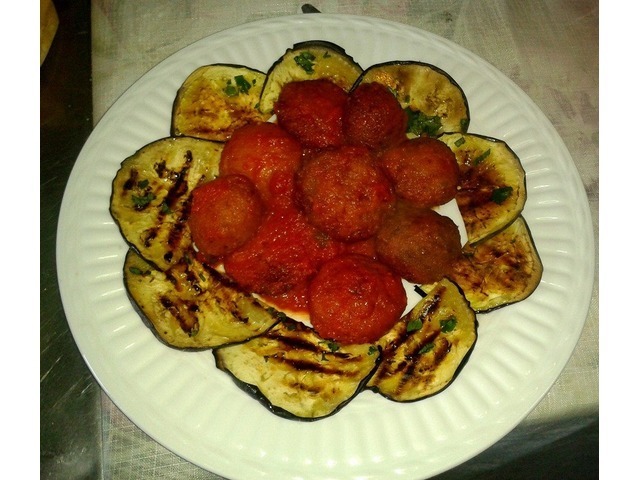 The concept of cucina povera is becoming trendy with many chefs now serving up platters of rustic food. However ask any aged Italian about it and they’ll shrug at the concept, saying it’s a romantic notion to give the humble cooking they grew up with out of necessity a fancy name. You could say that peasant food could be classed as fuel, as traditionally it was served up solely to stave off hunger and to nourish the peasant farmers. The concept is to create meals from what you have, be it from the garden or the store cupboard. 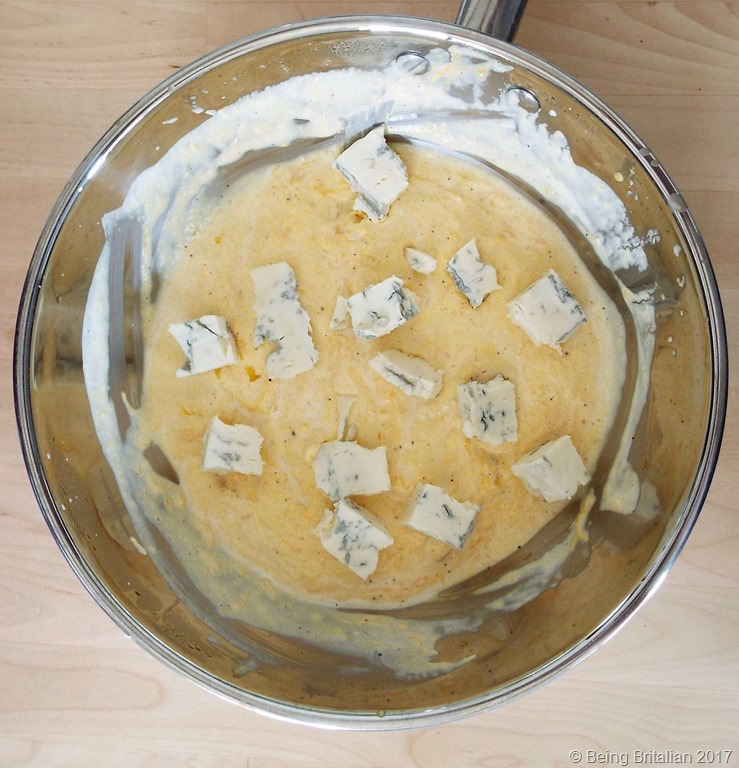 One of the staples of poor food is polenta and if made well it can be as comforting as a bowl of creamy mashed potato. So last night I grabbed a few items from the store cupboard and made a simple but satisfying supper. 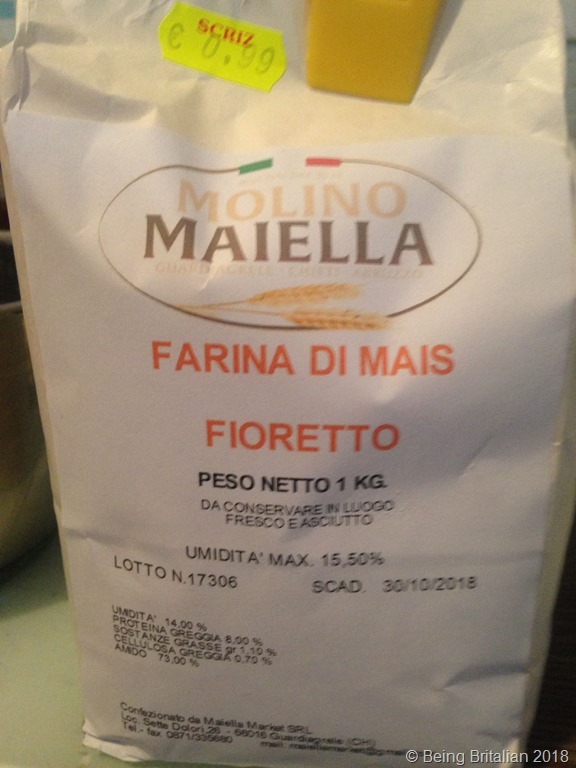 Polenta is cheap but commercially produced brands can be gritty, so I prefer to use a local brand that’s extra fine and results in a soft texture. I rehydrated some porcini mushrooms, made a tomato and sausage sauce and after cooking the polenta in home made chicken stock, I served it up and sat in front to the log burner enjoying a satisfying supper. 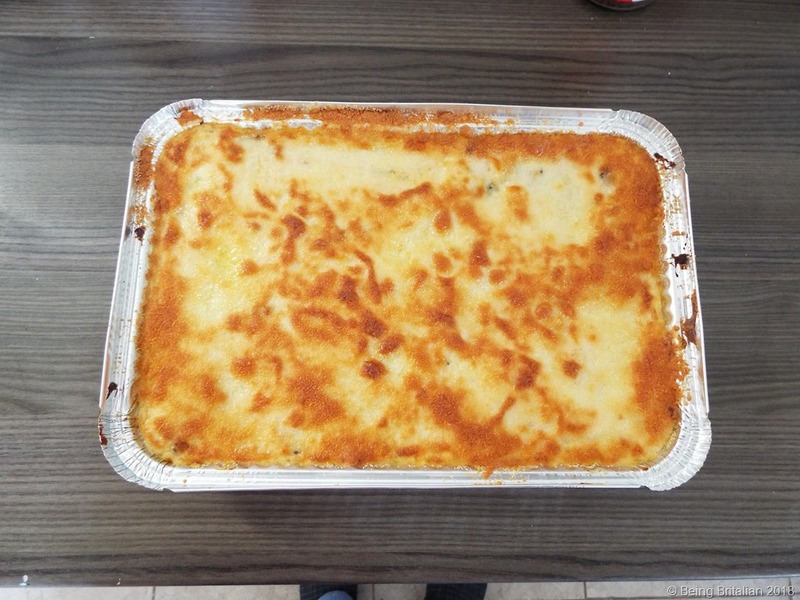 Order a lasagne in the UK and it’s generally served as a main course consisting of two or three layers of pasta sandwiched between thick layers of tomato sauce and minced beef, however lasagne in Italy is very different. It’s made up of thin layers of sauce between several layers of pasta, as it’s served mostly as il primo (first course). 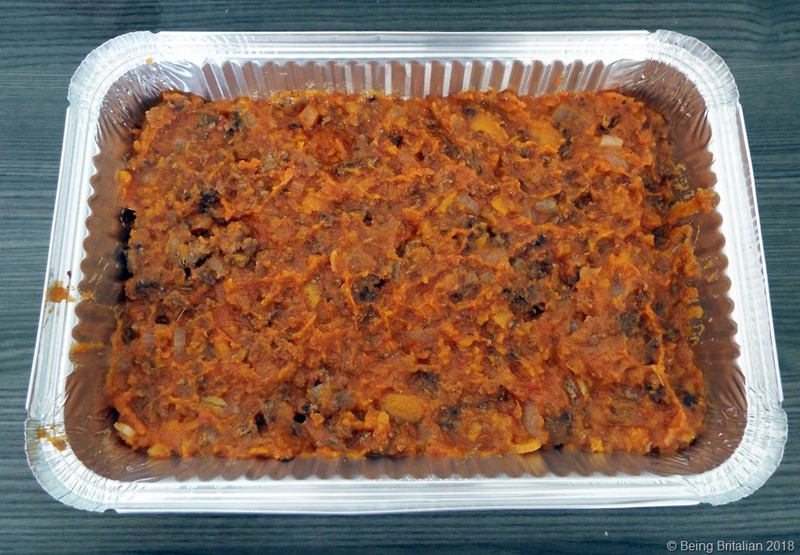 In Italy lasagne is made with many variations, beef, pork, a mix of beef and pork mince and during autumn and winter you see lots of squash added to the dish. 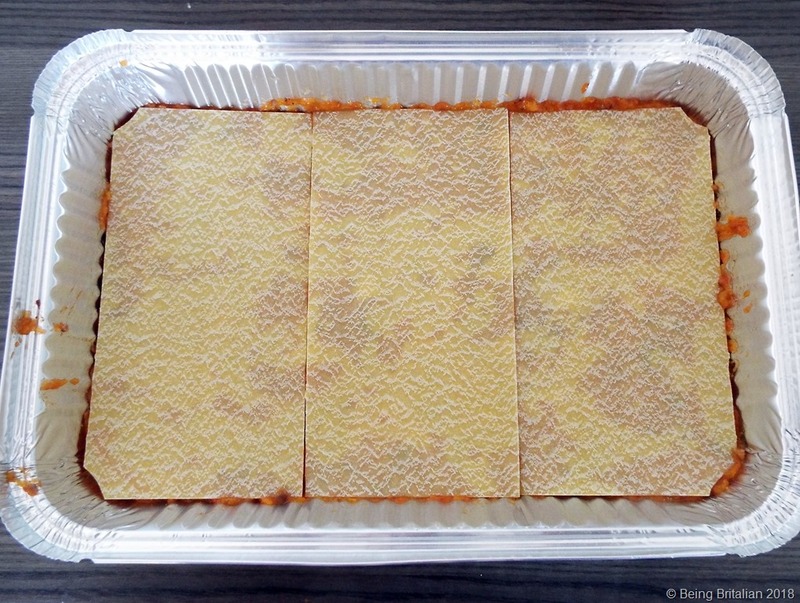 Several years ago when I tried my first squash lasagne it was made up of around 12 layers of pasta with the sauce. To be honest I find it a little bit bland and remarking upon this a friend told me, it is bland so that il secondo (second course) will shine. Thinking about this I decided that after the luxury of Christmas and New Year food maybe I could do with something less rich, so I decided to make my own squash lasagne So here’s the ingredients: 40g pumpkin or squash, 40 g walnuts, 400 g beef mince, 250 ml passata, 150 ml vegetable stock, salt, white pepper, cinnamon, garlic salt, 4 medium shallots. Roast the pumpkin and walnuts in the oven at 180° (fan) until soft and as the squash is roasting fry the mince in a dry pan and then sieve off any fat. 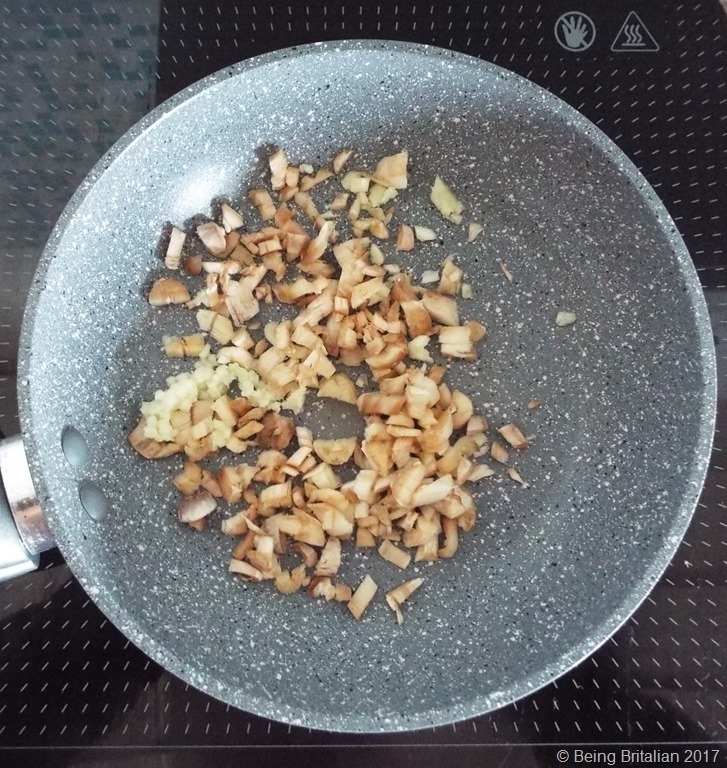 Chop the shallots finely and sweat them down in a little olive oil. Add the squash, mince and shallots to a bowl and season with salt and pepper: As squash can be bland be generous with the seasoning. Add 2 teaspoons of garlic salt and 2 of cinnamon then mix together. Add the mixture to a saucepan with the passata and stock and bring to a simmer for around 15 minutes. Let the mixture cool then add to your serving dish. (I had an aluminium tray left over from Christmas so used that – see above). 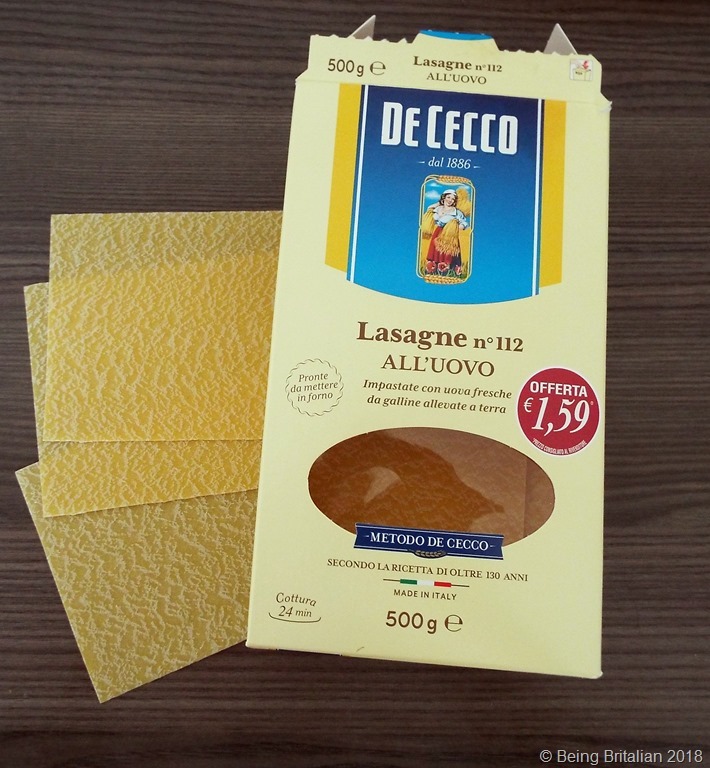 Now if you don’t make your own pasta; which very few Italian people actually do, I advise always buying a good quality brand and my brand of choice is always De Cecco. Sorry to ruin that romantic notion the TV chefs will have the UK public believe, but most Italians actually buy dried pasta for everyday meals. 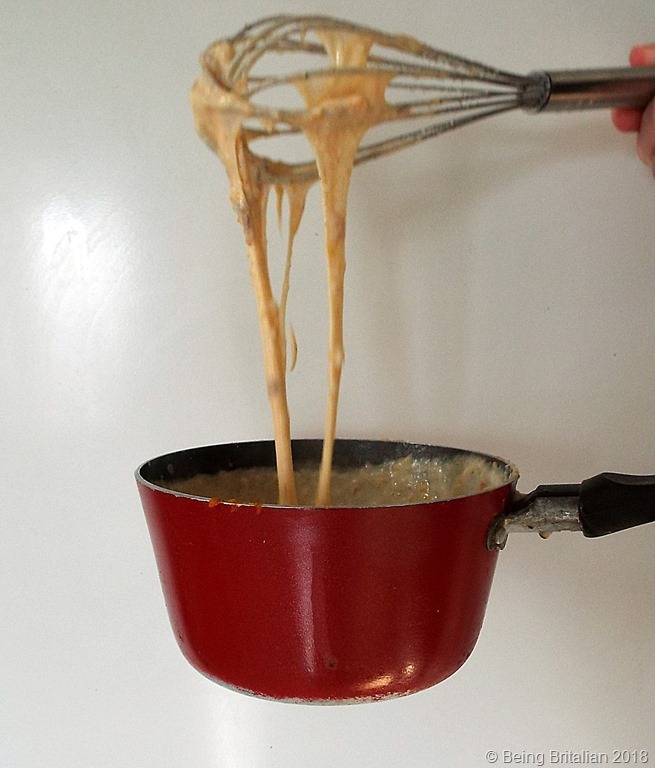 Layer the dish with sauce and pasta and repeat until the dish is almost full, leaving just enough room for the sauce. For the sauce make a standard white sauce and add to it a tablespoon of the pumpkin mix and a generous amount of grated cheese of your choice; I used grana padano as that was what was in the fridge at the time. Make your sauce so that it has a molten cheesy consistency and cover the lasagne and top with grated cheese and pop into a pre-heated oven 180° (fan) for 20 minutes. (Don’t let it stand uncooked as the pasta will curl up). 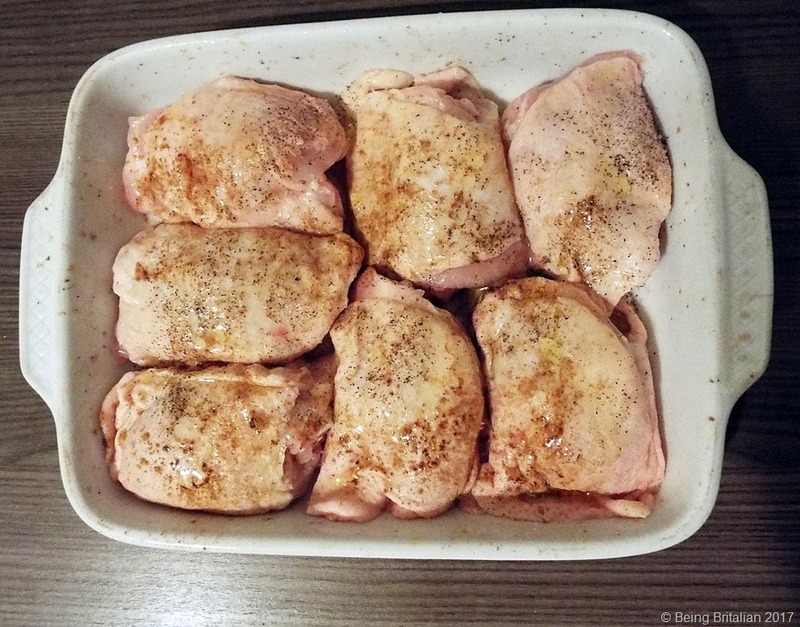 Once golden on top remove from the oven and serve immediately or let it cool and reheat later for supper. This recipe makes enough for 4 portions served with salad or vegetables as a main course or 6 portions served as a primo. The embers of 2017 have now faded into ash and we’re welcoming 2018 into our hearts. The comparison between last year in Abruzzo and this year is the skies are a cobalt blue and the sun is doing its best to warm the earth. In 2017 we had the worst snowfall for many years, so this warm weather is very welcome. The days however may be warm but as soon as the sun goes down the cloudless skies mean the temperature drops and it’s time to light the log burner and snuggle down for the evening. 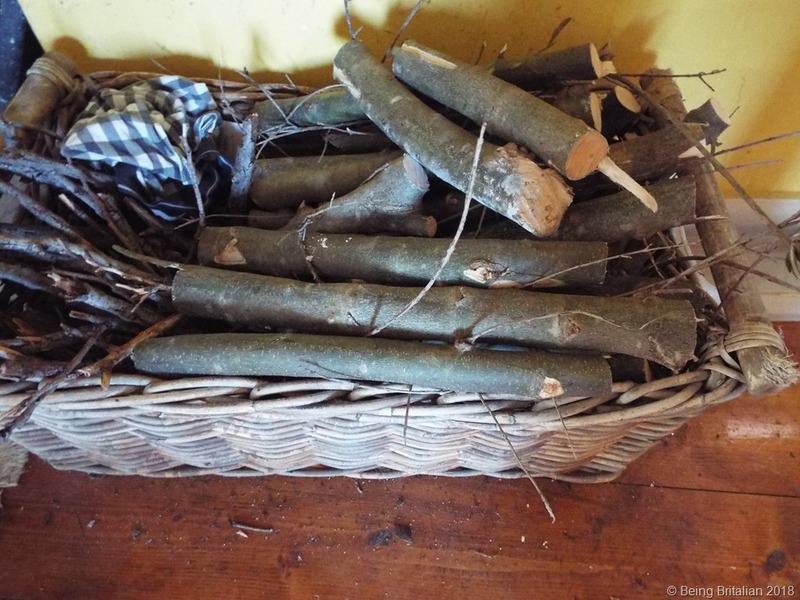 It’s the need for wood to burn that’s prompted this blog post. Were just a handful of days into the new year and so far I’ve experienced several acts of generosity. On Thursday morning I was just finishing my breakfast when there was a knock at the door, reluctantly I left my eggs and bacon and shuffled to open it. 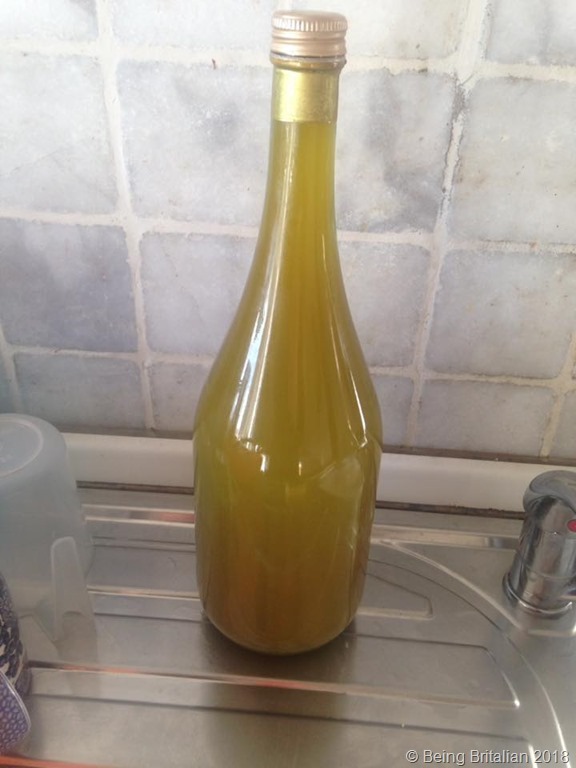 The door opened to the smiling face of my neighbour Mario who was clutching a bottle of fresh, cloudy olive oil. “Come va?” was his cheerful opening to the English man stood before him still dressed in night attire. I told him I was well and he thrust the bottle towards me telling me it was from the November harvest and a gift for me for my help and my friendship. He tells me it’s an exceptional taste this year. Later I decant it into dark coloured glass bottles to preserve its flavour. Sampled simply upon bread the flavour is fruity and fresh and reminiscent of the previous summer. Saturday, I’m coming home from a trip to the shop when another neighbour, Franco stops me. He’s cutting a tree down that has been made unsafe by the recent winds that took half of the tiles off my roof: that’s a post I forgot to write. “Nice day today,” he says as the chainsaw buzzes away at the tree’s trunk. “You have a wood burner?” he asks, I respond saying yes and he tells me to help myself to as much of the kindling that I want. 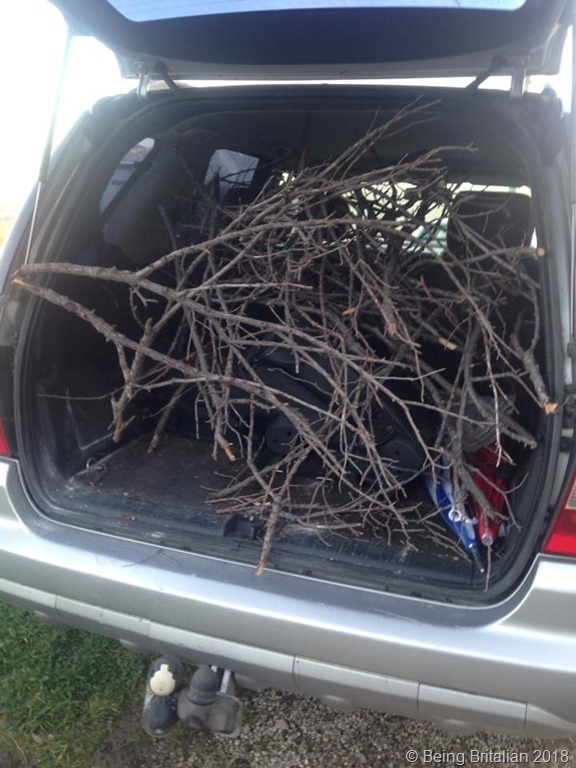 We open the back of the car and promptly load it up with around a months supply that’ll save us using our store. I thank him and wish him happy new year and drive away as he continues on with his labour. The still Sunday air is punctuated by the mechanical chugging of an ancient tractor and another neighbour comes into view over the brow of the hill. “Hello English,” he calls to me, his usual greeting. He’s as ancient as his machinery and has a moustache you could hide kittens in; we’ve never exchanged names, our conversations are mostly, hello, nice day and a wave of the hand. Behind his tractor is a trailer laden with olive branches that have been stripped of their leaves. “Buon lavoro,” I say indicating towards his load with a nod of the head. “Grazie,” is his reply, good for burning, he says indicating to his olive wood with a nod of his head. I tell him that I agree and he says, take some. He pulls the tractor over and jumps down and grabbing a handful he starts to load my arms up, saying he’s more than he’ll need this year. With arms straining under the weight, I say thank you as he climbs aboard his mechanical steed, he bids me buon anno and disappears down the lane. I spend the remainder of the morning cutting the olive wood into lengths that fit the burner and wonder at the generosity of my neighbours. Another food post I’m afraid. 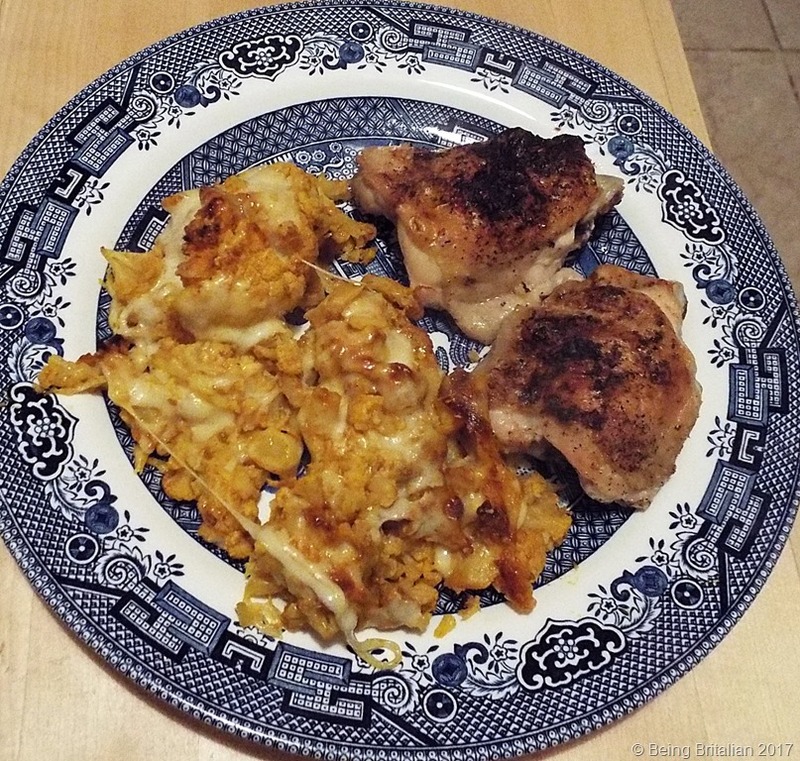 This week I was wondering what to make for lunch and a quick look in the fridge revealed a cauliflower, chicken thighs and some caciocavallo cheese: Caciocavallo meaning ‘cheese on horseback’ is a sheep or cow’s milk cheese that is good for melting. I’m not keen on it melted on toast, I still prefer a mature Cheddar, but it’s good melted on pizza or as I’m about to find out, on cauliflower. 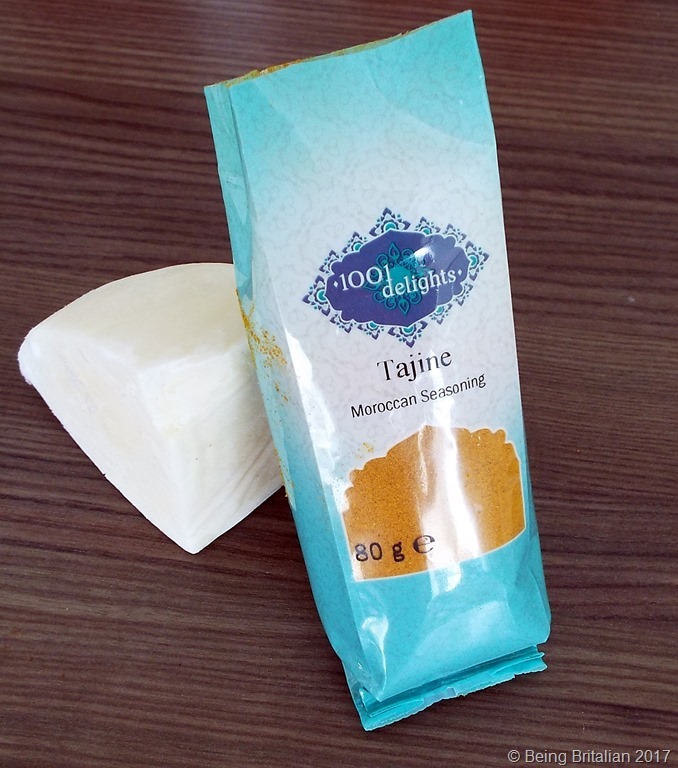 I set the iPod to play and Poly Styrene’s album Translucence starts to play, the opening bars of Essence give me an idea so I grab a little packet of Moroccan spices I got a few months back and my mind starts to go into creation mode. First I separate the cauliflower florets and pop them into boiling water to blanch for 5 minutes. 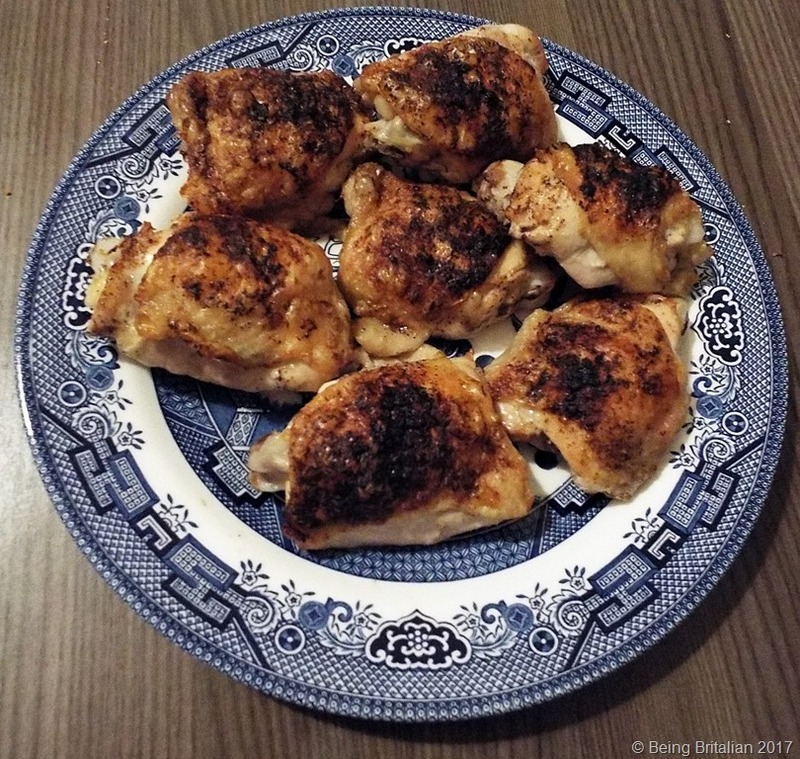 Next the chicken breasts are placed into an oven-proof dish and have a dusting of black pepper, cinnamon, Himalayan salt and garlic salt followed by a drizzle of olive oil. Next I make a spiced paste for the cauliflower. 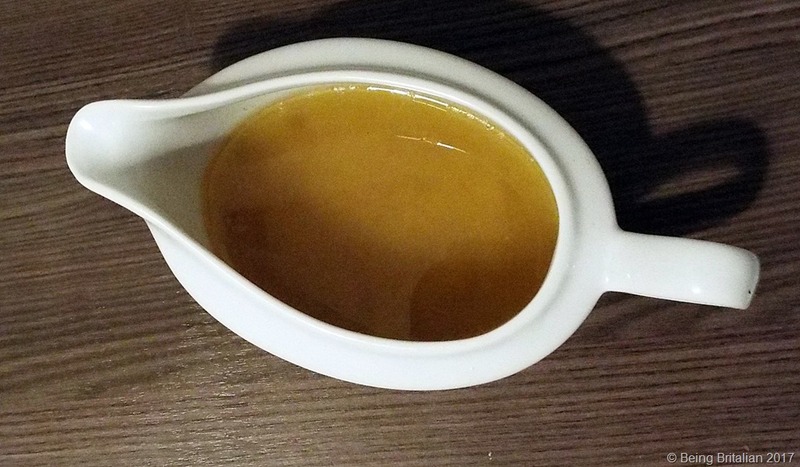 To a bowl I add a tablespoon of honey, 3 teaspoons of the Moroccan spice, 1 teaspoon of fennel seeds and the juice of half a lemon. The oven is set at 180 (fan) and the chicken breasts are covered with tin foil and popped inside. The cauliflower is drained and covered in the spice mix and then placed into an oven-proof dish and placed inside the oven to roast alongside the chicken. After 20 minutes I remove the chicken and drain off any juices and put these aside to freeze for a tasty base for a brodo, soup or risotto. The chicken needs just 7 minutes cooking uncovered to crisp up the skin, so I slice some of the cheese and place it on top of the cauliflower and return it to the oven. After resting the chicken for a couple of minutes the cheese has melted into the cauliflower so the final job is just plating up, sitting down and eating it. It made a great midweek lunch with enough cauliflower left over to freeze or to have the following day. 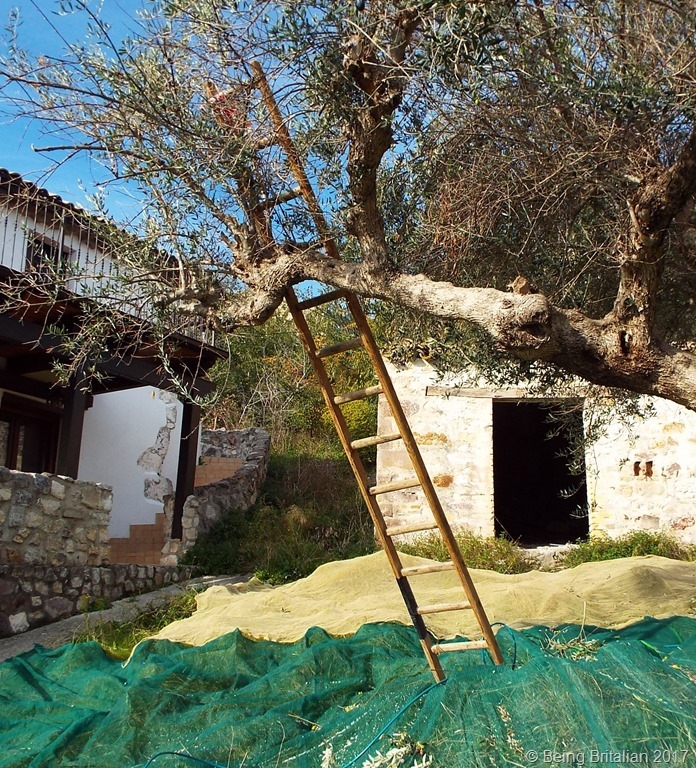 Today my car is blocked in by a tractor and there’s an olive net across the road where three people are harvesting the olives from the tree that they own. The three people are friends of mine and they live up in the main town of Casoli and have driven down in their tractor to collect the olives from this solitary tree. I’m chatting with Maria, (the lady who used to own my house) as she rakes olives from the branches her husband has pruned out of the tree’s centre to open it up. I’m asking why they have travelled so far to come to just this one tree. 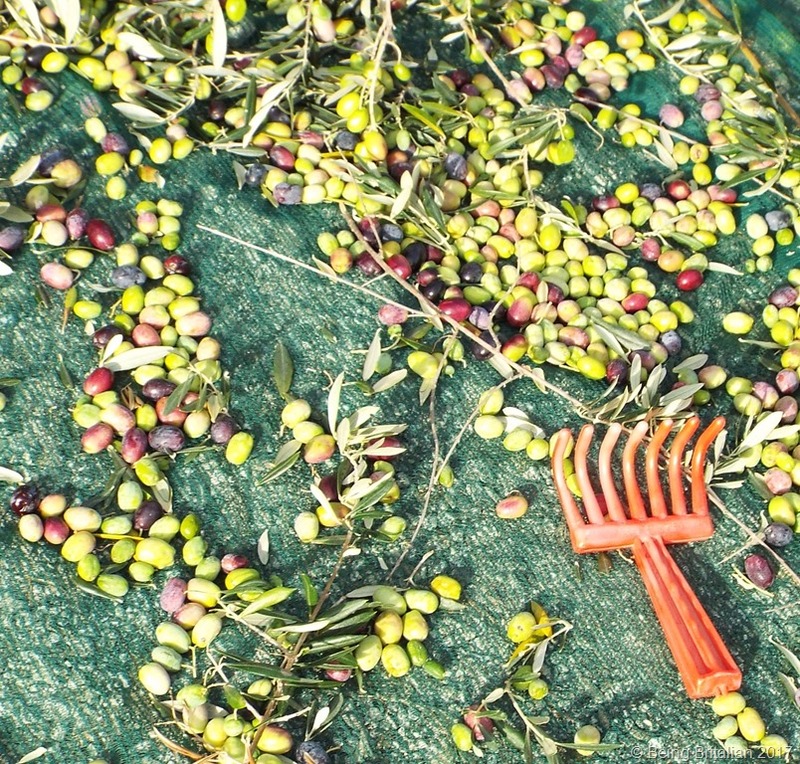 “It’s been a good year for the olives so it’d be a waste not to harvest them,” she tells me. “How many trees do you have?” I ask and am then corrected; “Piante non alberi.” Italian’s don’t call olives trees, they’re plants. They tell me they have over 300 olives to harvest before the end of the month, as you should never collect them after November 30. Maria explains that when she sold me the house they didn’t sell the tree because she didn’t think I’d want it. I agree that I wouldn’t as I’m not interested in cultivating olives as there’s just far too much work involved. She explains how the family have about 50 olives further along the lane, 20 or so behind the hill and 5 further on up the hill. The main ones are the other side of Casoli where there’s two large groves. 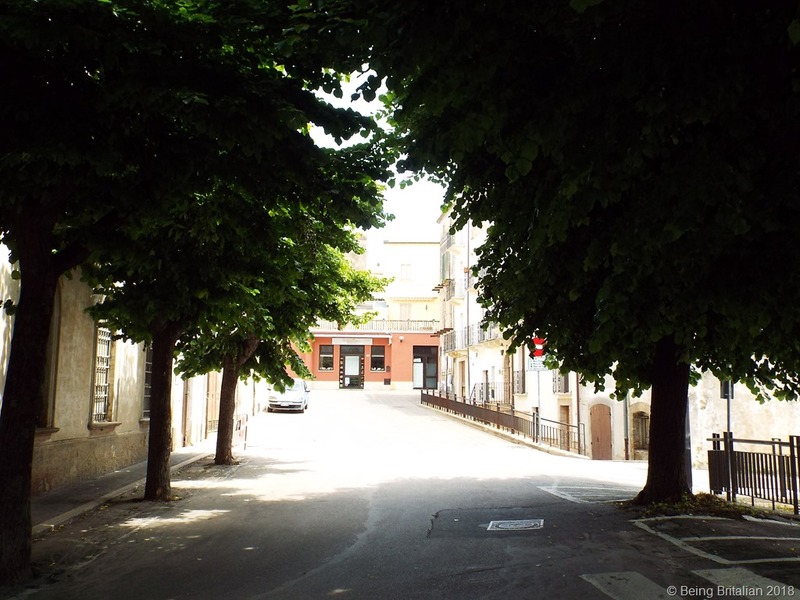 The collection is made up of plots of land that they have inherited through Italy’s complex inheritance laws and this particular tree was part of a share of the estate split between her husband and his relatives after an uncle passed away many years ago. Last year was a bad year and most of the crop here was infected by the olive fly. Maria explains it’s because we had a humid spring and a cooler summer in 2016, whereas this year we had a long summer with many days over 30 degrees. It’s the heat that controls the fly population apparently. I leave them to carry on with their toil and as I’m leaving Maria calls to ask me if I’d like the wood they’ve pruned out for my log burner. I say thank you and walk down towards my house to look for my hand saw. The price of olive oil has risen again this year, so when the crop is good like this one it makes sense to collect every available olive, even if you have to drive several km in a slow moving tractor to just one tree (plant). Italian cuisine is rated highly throughout the world and living in Italy means I’m never far from an excellent restaurant. Last week a party of us went to a local agriturismo for dinner to celebrate a friends birthday. The word agriturismo comes from the combination of agriculture and tourism. 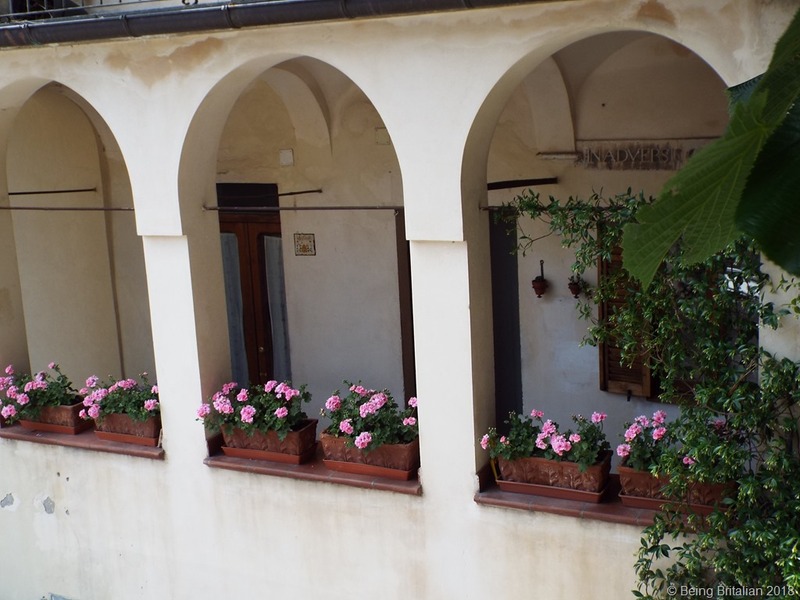 Agriturismi (plural) receive tax incentives and must therefore qualify for these. 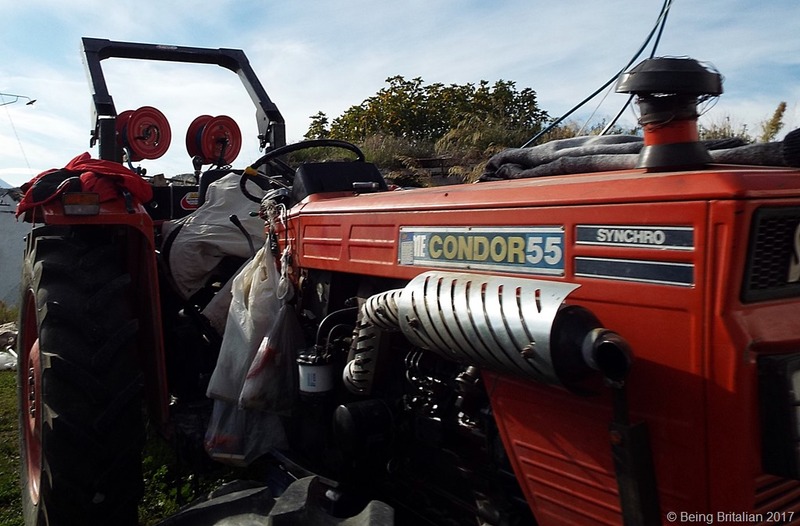 According to national law: Legge 20 February 2006, n.96, to qualify 51% of your income must come from farming with the remaining 49% made up from holiday letting, providing recreational or educational farm visits and of course catering. If meals are offered, foods must include products produced by the farm or by local cooperative of which the farm is a member. In 2015 we visited Agriturismo Travaglini which is near Casoli and since then have tried many others in the local area. When we were talking about which one to go to, we all agreed that it was at the Traviglini family’s agriturismo where we had eaten the best food previously, so without hesitation we booked a table. We arrived to a warm welcome from Claudia, who then introduced us to her parents Antonio and Maria and then explained to us how she’d be cooking the main course on the open fire. Which is a round dish placed under a cover and the charcoal and wood placed around it and on top. We settled at the table and after wine and water had been served the dishes started to arrive. Antipasti comprised of home made salami, cheese and cured meats, toasted cheese and other goodies also arrived. 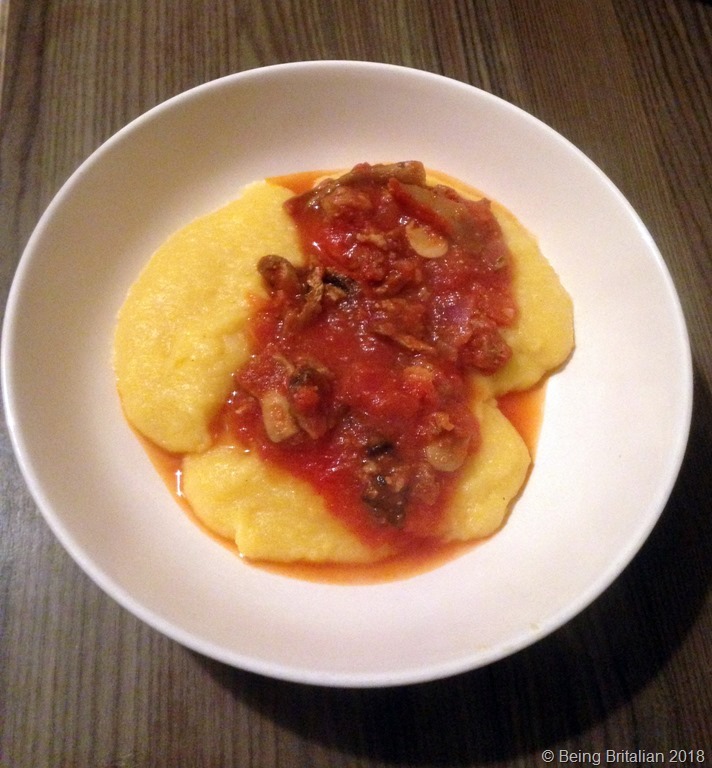 We were delighted with the polenta with sausage; most of our group don’t usually eat it as it can be grainy but this was as smooth as a perfect mashed potato. Cheese and egg balls with aubergine arrived and we chatted as we ate from this menu of many treasures, before the pasta with a broccoli sauce arrived. Our main course of potatoes and pork was served with crisp green beans and aubergine and as we ate the conversation stopped and the room fell silent. The potatoes were fluffy on the inside and roasted perfectly and the meat just fell away from the bone. It was perfection in a roasting tin. Fruit followed for dolce and then Claudia arrived with a birthday cake and a bottle of Prosecco. At the end of the evening we had enough space left to fit in a grappa and a coffee before we left feeling full and completely satisfied. If you’re in the area and want to experience real Abruzzese cooking and hospitality then I can whole heartedly recommend Agriturismo Travaglini, you won’t be disappointed. But call to book a table first and make sure you’ve an empty stomach. Last week at our favourite restaurant we were served a dish we’d never tried before; gnocchi with a pumpkin and Gogonzola sauce, so for lunch today I thought I’d have a bash at making it myself. 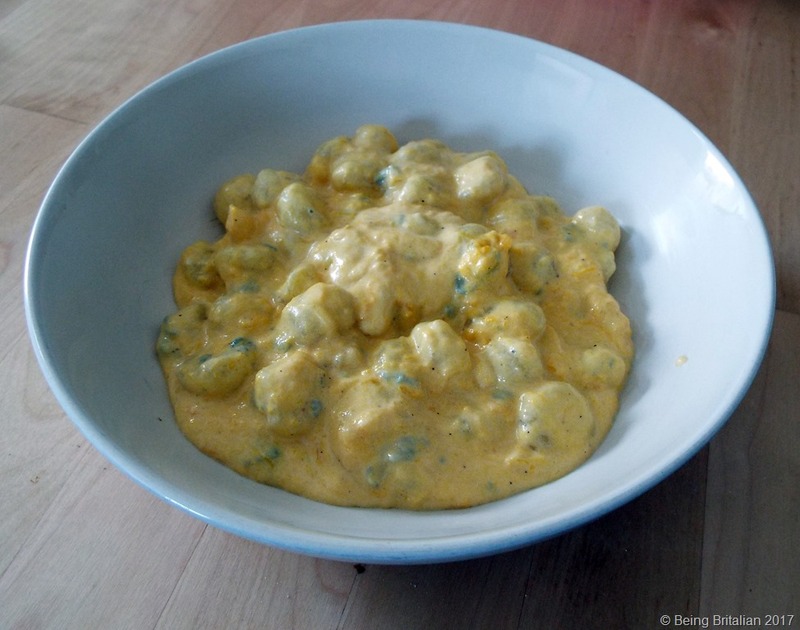 The ingredients were: 200 ml cooking cream, 200g gnocchetti (small gnocchi), 100g Gorgonzola and 150g of frozen pumpkin. 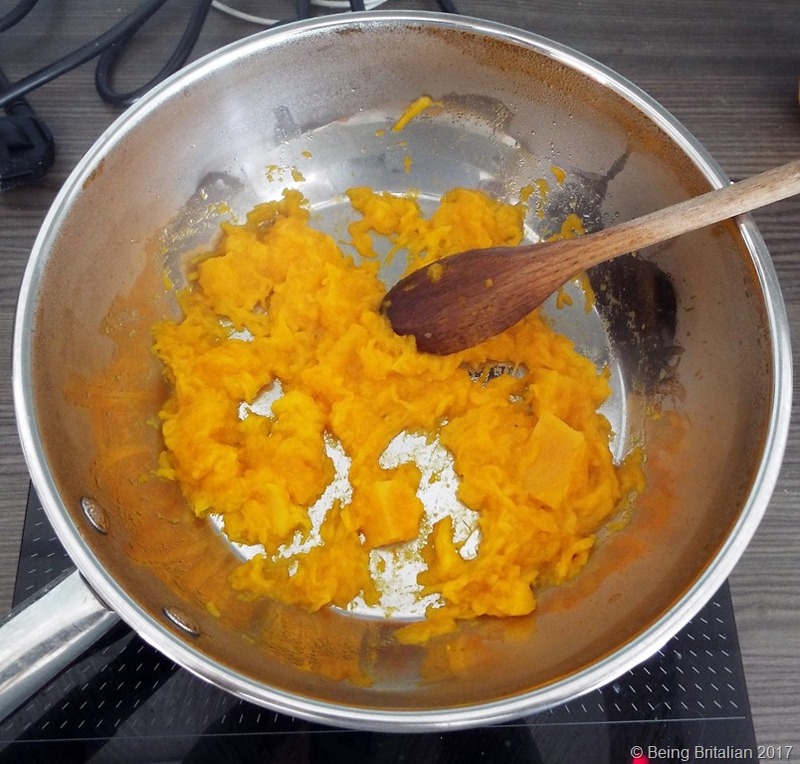 The pumpkin was from my orto last year literally chopped into cubes and frozen, I defrosted it in a pan over a low heat and it just dissolved into a fine puree. I guess if using fresh you’d need to roast or boil it then puree it. To the pumpkin I added the cream and stirred it until it turned a lovely peach colour. I set a pan of water on the hob to boil for the gnocchetti and added the Gorgonzola to the cream and let if slowly melt over a low heat before adding a little black pepper. Once the gnocchetti were cooked, takes about 2 minutes I added them to the creamy sauce and ate this quick and easy lunch with relish. It’s quite rich but a nice change when you fancy something different with your lunchtime glass of frizzante. I had a handful of mushrooms sitting doing nothing in my fridge so I thought I’d share with you my recipe for funghi ripieni. I first fell in love with these delicious bite size treats many years ago. They were a very popular starter on the menu at Roberto’s Pizza House, in Hanley, Stoke on Trent. 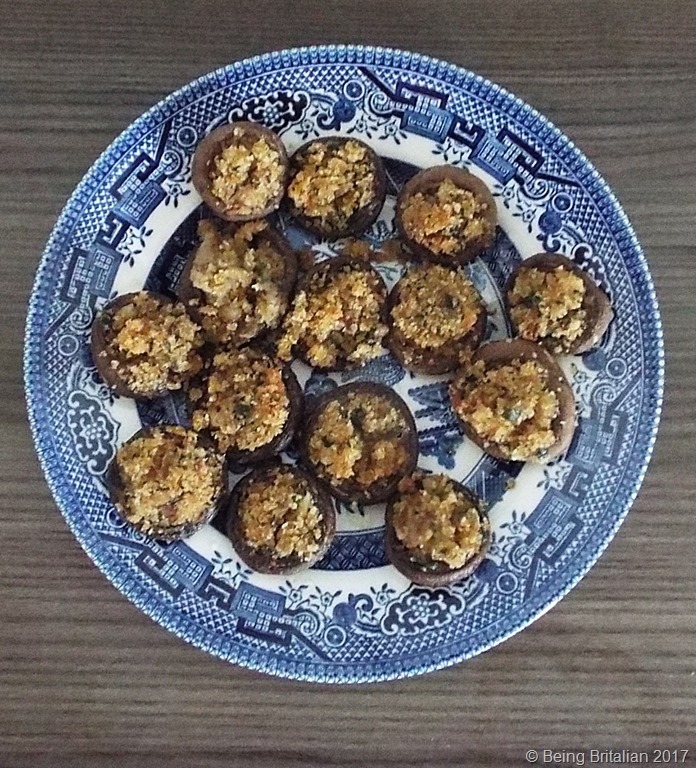 I never got the recipe for them so here’s my own take on the little stuffed mushrooms. 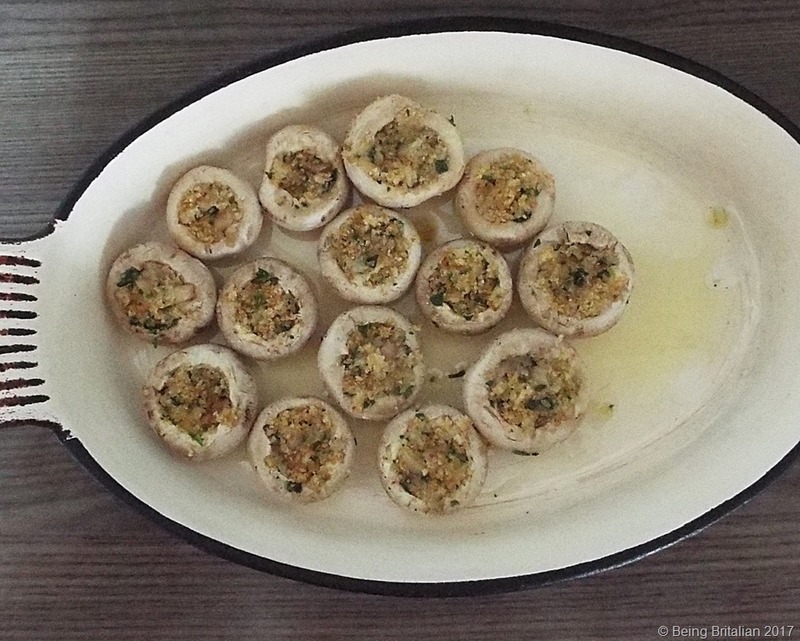 The ingredients are simply, mushrooms, parsley, garlic, breadcrumbs and dry vermouth. 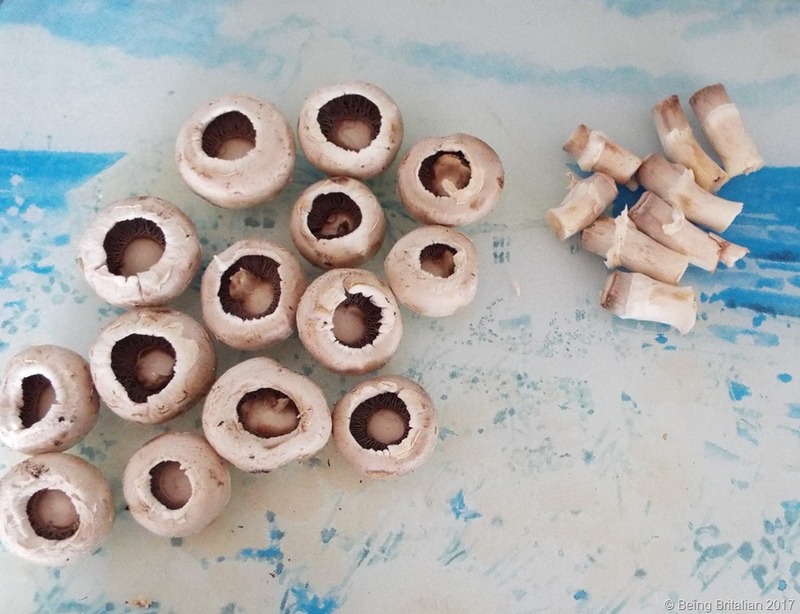 Remove the stalks from the mushrooms and retain half of them, (pop the others into the freezer for adding into soups and stews). Finely chop the stalks with 2 or 3 garlic gloves and fry in a little olive oil. 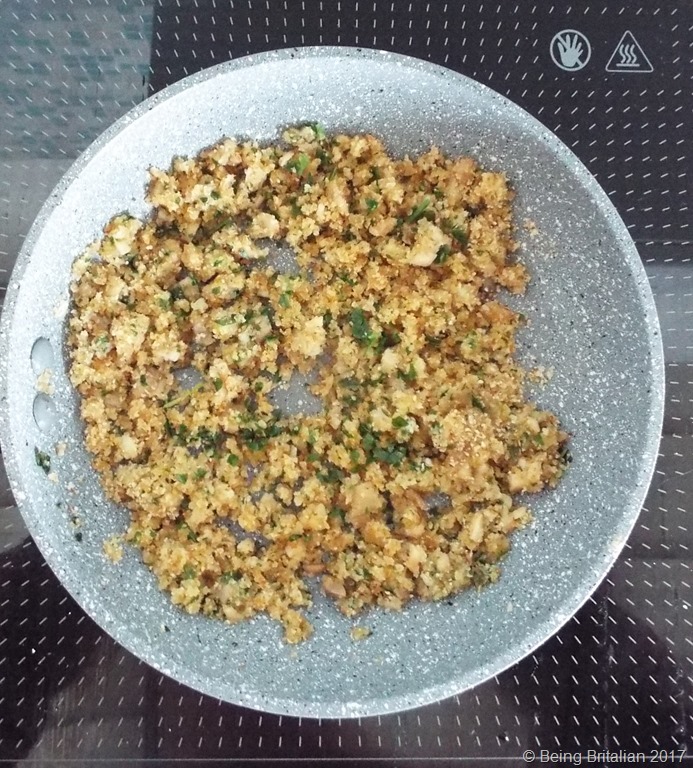 Add to this breadcrumbs and fresh chopped parsley, then add a good splosh of dry vermouth and keep on the heat for a couple of minutes until the breadcrumbs have browned a little. When the mixture has cooled use it to fill the mushroom caps. Don’t over-fill them as they’ll shrink during cooking. Pop them into an ovenproof dish with a drizzle of olive oil and bake for 10 minutes at 180 degrees. This may seem to be a lot of effort for a bite size nibble, but believe me they’re well worth it and only really take a few minutes to prepare. I serve them as a canapé with a buffet or 10 of them make a good sized starter for a dinner party.